Category Archives for "Mash Business"
Last week at the Barbell Mastermind, one of the sessions was about the branding of your company. A lot of us think about logos, colors, and fonts when we think branding. If that is what you are doing, then that is a fail. To be honest, I have never intentionally branded anything or even thought about the topic, so that is a fail on my part. Instead of the business catch phrase “branding”, we should all sit back and think about what we are doing. We need to ask ourselves some serious questions. What do we want our companies, gyms, and teams to represent? What do we want to come to people’s minds when they think about what we are doing? These are serious questions that we need to answer. Branding is how the world perceives your organization. I am not just talking to business owners. I am talking to coaches of teams. No matter what we think, our team or organization is making a statement to the world. Personally I want to focus that statement on something positive, empowering, and mostly glorifying to God. I don’t think that I have focused on this enough, but I am totally ready to tackle this massive step now. The first step was asking a lot of my partners and athletes one important question. What does the Mash Mafia mean to you? Truly I wasn’t sure what I would get, but the answers brought tears to my eyes. Almost unanimously, they said “family”. That’s exactly what I have wanted from the beginning, but I didn’t know that they all felt that way. I had no idea that one could spark such a high-powered feeling like “family” from their business. Content is the key to painting the picture in the world’s brain. Videos, short clips, and articles should all say the same message. I want the world to know that I care about all of my athletes from the tone of my articles and videos. Some coaches want to project a sense of “win at all cost”, and that is fine too. The important principle is to remain constant in the message. It’s not that hard once you have clearly defined the message. I made the decision about a year ago to focus more online. I wanted my online athletes to experience what my onsite athletes had experienced for years. I wanted them to have a coach that cared about them as a person and an athlete. This has been a massive challenge, but one I have enjoyed immensely. I am still working on bring my online clients that personal experience. The distance obviously makes it a little tougher, but I am making some major decisions right now to improve this aspect. I will say that it is super humbling when one of your online brothers or sisters writes you and email asking about life. I have had people ask about careers, family, and most importantly my relationship with Christ. Awesome! When they ask these questions that is a win. Now keep in mind I am not talking about financial wins. You should think of your brand or world perception as your “art”. I want the world to perceive me as their onsite coach. That’s a big challenge. When people are asking me these personal questions, I know that I am getting my message across. I want to help all of these people become better athletes and better humans. I have never just wanted to make great athletes. I want to affect the people that come to me for the rest of their lives. Once you have chosen your message, now it is time to make it beautiful. Everything that you put out should be wrapped in a beautiful way. This is the part that I am going to work on starting today. I can put out some content better than most people, but I haven’t always taken the time to make it beautiful. I am meeting with my creative team today to change all of that. Your life work is in reality the picture that you paint for the world. It is the art that you will leave behind when this life is over. There is a picture in my head of the way I want it all to look that my creative team are going to help make reality. This project will be a lifetime of perfecting. I am talking about everything from my facility, to me website, and my social media. I want the look to portray my message in a beautiful way. Anyone that knows me realizes that this project is out of my toolbox. I am not artistic at all. Luckily my wife and our friend Mark are amazing. They have the unique ability to conceptualize thoughts and desires with art and images. Who knows!!! I just know that they are amazing, and I am extremely thankful to have them in my life. I hope that this helps you all. This message pertains to athletes as well. As an athlete you should ask yourself how people perceive you. You are sending a message out to the world as well. The better you become, the bigger the message will be, so start thinking about that now. Remember this: Our actions are only as awesome as the world’s perception of those actions! 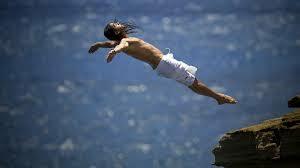 0	Unafraid to Jump? The Question of Greatness! I am on a plane as usual leaving the amazing Barbell Business Mastermind. This week of learning and networking attracted some of the heaviest hitters in the Fitness Industry. This article isn’t to name drop. I simply want to point out a single trait that I found we all had in common. I also want to show how high impact athletes, and other people that will shape our society in the coming years share this trait. The one common trait is “Fearlessness to take a Risk”! There were over twenty people in the group this week, and every last one of us falls into this category. The fact that we were even there shows our ability to take a risk. $3,500 plus airfare might seem like a lot to some people, but to this group it was a drop in the bucket. All of us realized that the benefits would far outweigh the risks. The majority of us agreed that we had gotten our money’s worth half way through the first day. I told the group about a story that took place during my bachelor party. My wife knew my tendency to cliff dive off of remote cliffs, bridges, and dams, so she requested that this one activity be avoided. I truly had every intention of submitting to her wish, but as the night progressed so did my inhibitions. All of my friends are athletes, and high impact people. This can sometimes lead to some craziness, and that is exactly what happened. We were in my old college town of Boone, NC. About 1am that night, my desire for a little trouble got the best of me. My best friend KJ could see that twinkle in my eye, so he thought it would be best for the rest of the world if my appetite for trouble was filled with some good old fashioned late night diving. We chose one of our favorite places in Boone to quench our thirst of danger. We took the entire group of ten men out to Hound Ears Dam. There are two options to choose from: a 40 ft. jump and a 70 ft. jump. We of course chose the highest. Now of the group, only two of us made the trek out to the spot. KJ, my best friend, and I walked the plank out to the dreaded spot. Crawling out to the spot, yes crawling, was the scariest part. Remember it is pitch black at 1am, and we are talking about a massive fall if you take the wrong step. We finally made out to launching pad, gathered our balance, and stood up. We could hear the rushing water, but the water itself was blacked out by the late night skies of the Blue Ridge Mountains. It was any man’s guess as to what awaited us at the bottom. Also we are talking about early June in the mountains, so the water was certain to be ice cold. It was time to put up or shut up! I looked at KJ, and asked him if we were really going to do this. The fact that I had even asked that question infuriated me. I turned my back to the water, and back flipped into the pitch-black abyss. I had done that many times in the daylight, but the total darkness was a whole new animal. I became totally unaware of where my body was in space, and at that moment I knew what was to come. Blaaammmm! I smack the water on the rear of my left shoulder, which totally knocked every ounce of air out of my lungs. At that moment, I found myself in pitch black, ice-cold water with no idea of where “up” really was. I simply allowed my body to float upwards until reaching the surface. Now the journey to dry land began. The swim was probably 100m, but it seemed like a mile. I wasn’t able to breath at all until I finally drug myself out of the water. During my honeymoon in Key West, my wife rolled onto my shoulder, which caused me to cringe in pain. The fall had strained my shoulder. She asked me what was wrong with my shoulder. For a split second, I debated on making up a story, but decided a lie this early in the marriage was not the start that I had envisioned. I told her the truth. She was not happy with her brand new husbands at all. However, she has come to know that this characteristic is a big part of whom I am. This ability to overcome fear and take a risk is what makes our business at Mash Elite Performance so successful. It is also the characteristic that allowed me to break World Records in Powerlifting. AJ Roberts and I shared our thoughts with each other on this topic all weekend. When both of us started on the Powerlifting scene, we both set our sights on breaking world records. Most people can’t wrap their heads around this. While they are trying to beat their buddy in the gym, we are looking at the rankings on PowerliftingWatch to see the number that we need to be number one. A 1000lb Squat isn’t scary to us. It is an exciting adventure. If you want to be a high impact entrepreneur or athlete, your mindset has to be one of greatness. You have to visualize greatness to actually achieve it. You will never set your eyes on climbing a 3,000ft mountain, and then accidentally climb Mt. Everest. To climb Mt. Everest, set your eyes on that peak and figure a way to the top with planning, execution, and putting a great team together. The same principles apply to business and sports. Will you jump, or will you stand on the side and watch? That’s the question that you have to ask yourself! Surrounding yourself with a solid support staff will make that leap much easier. Feel free to comment or leave questions! This past weekend I had the honor of teaming up with my man Zach Even-Esh for an Underground Strength/Learn 2 Lift joint cert. It was Fire!!! Having the two of us made it even easier to bring the heat all weekend long. It was just as exciting for me to learn from Zach as it was to teach to our campers. Zach is a constant reminder of what is important to me. His priority is his family first. Zach is all about staying true to himself. He enjoys coaching athletes to improve athletically and as a person. He wants to show them that fitness keeps you health, makes you strong, and directly reflects life. The hard work that one puts into fitness will directly reflect the results. Life is the same! The harder that one works at life is directly related to the amount of results. Zach is passionate about teaching the coaches at his certifications that coaching is much more than lifting weights and banging out sprints. It’s about preparing them for a life that will involve goal setting, hard work, and mental toughness. The entire experience made me think hard about my future. Sometimes in one’s career, they are offered multiple opportunities, and that doesn’t mean that one should take all of them. The key is approaching your career, athletics, and family with a clear path. Establishing clear values, principles, and vision is the key to making decisions in life. •	Glorify God by teaching the world about The Barbell and Fitness, while sharing Christ’s love. •	Helping others find their passions and helping them live that. •	Never let anything compromise my faith in God! •	Never let business or an activity intrude upon time with my family or God. •	Never let profit come before my passion to help others. •	Never let communication cease between my partners/employees and me. •	Never get too busy for friends and family! Quite honestly, I am constantly looking at these principles, and making changes based on experiences and season of life. At 42-years-old, my love of God and family has become way more important than in my 20’s. My pursuit of glory in my earlier years caused me to make some really selfish decisions. If I had made clear-cut values and principles early on, it would have probably kept me from making these regretful decisions. After establishing values and principles, one can then create a clear vision. As Stephen Cover says, “Begin with the end in mind!” Knowing where one wants to go is the only way to establish a plan on getting there. Personally I just want to help as many people during my life as possible. I want to do that while loving my family like no father has ever loved. I want to do all of this while loving God with all my heart and soul. This is my vision in a nutshell!!! Hanging out with Zach this weekend, reminded me to stay focused on the target, and let all the extra stuff fall to the wayside. On Friday before the Cert., my family invited Zach over for dinner on our farm. We own about 12 acres of pastures, barns, horses, chickens, dogs, and beauty. We are truly blessed to own such an example of God’s majestic beauty on earth. After dinner, we took a walk and looked around the farm. We shared the same desire to simplify life, spend more time with family, and stick closer to our passions of coaching. Sometimes in life one gets distracted from the path, and that is ok. These times of distractions are needed to remind us what is truly important. I have no doubt that God has been teaching me lots during the last two years. It has been a tremendous time of growth, excitement, and yet loss accompanied by sadness. It’s crazy to expect a life filled with all sunshine and rainbows. The key is to learn from the tough times. That’s all I believe that God expects. I just pray that each time I get closer to living my values. That’s all one can expect! With this in mind, Zach and I attacked the Cert. like to men on a mission. That mission was to get back to what we do: Coach! We wanted to bring the heat like never before, and we did. We coached this group of coaches like we coach our athletes, and with that same passion we taught them to coach their athletes. 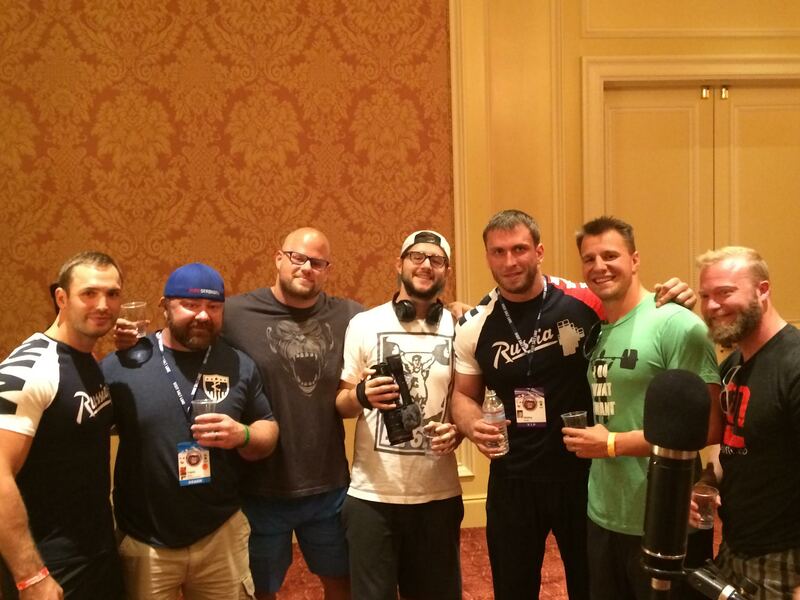 We coached with everything that we have inside, and we grew our Barbell Families by loving this group of coaches. Zach Even-Esh and Travis on The Barbell Life! I hope that whether you are a coach, athlete, or whatever that you will all start with the end in mind, establish values, establish principles, and form a clear vision with all of this in mind. These steps will prevent you from living a life filled with mistakes. Love you guys!!!! Check out the Mash Mafia Affiliate Program! I am so excited to be attending my first Mastermind hosted by my friends at Barbell Shrugged. Meeting Mike Bledsoe at the American Open in 2013 has been one of the best events of my life behind my children and wife, of course. Every time that I am around Mike, Chris, CTP, and Doug, I feel like I am reunited with my brothers. Sadly, I feel closer to them than my own brother, but once again that is the miracle of the barbell. Because we have that one unique bond, the barbell, we were able to grow a lasting relationship that will last throughout time. Not to get off on a tangent, but I truly hope all of you take advantage of the same Barbell Miracle. 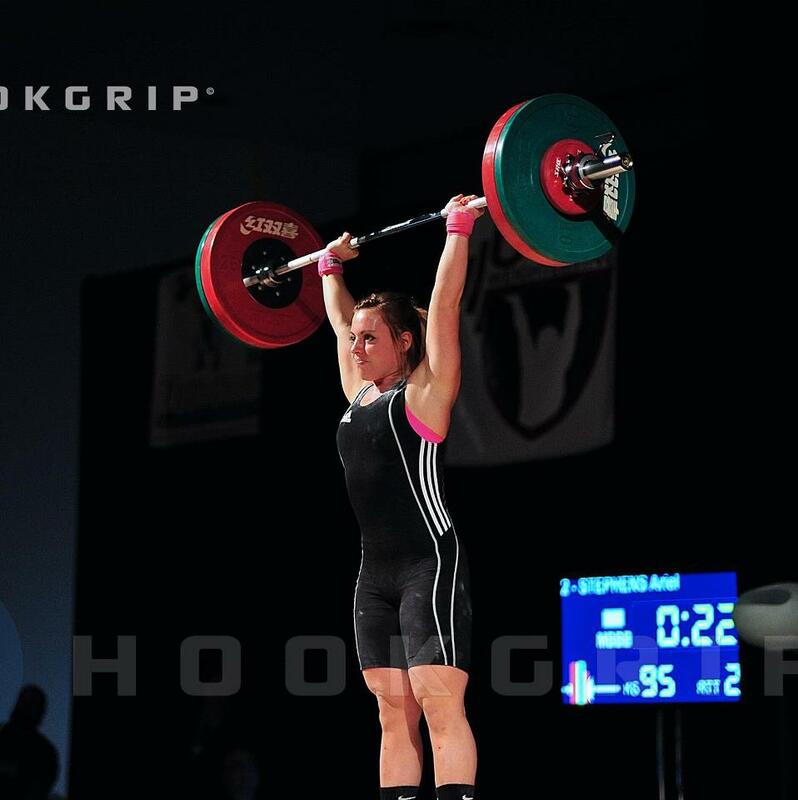 I have formed lasting relationships all throughout the country that all started with a common love of the barbell. If you are the person that goes to the gym, hits your workout, and then leaves, you are missing an opportunity to make friendships that will feel more like new family members. I can’t explain it, but it is true. In a world where it is hard to have 1 or 2 real relationships, these family members formed from the barbell are true rarities that I treasure with all my heart. Names roll through my head daily like a rolodex of all the people that I have met throughout the country now a part of my Barbell Family. This phenomenon is the very reason that Chuck and I formed “The Barbell Life” Podcast. I hope that you too will learn to slow down and experience the same miracle. The Barbell Shrugged Crew have not only become great friends, but they have taught me a great way of doing life. They openly shared with me ways that they grew their podcast and online presence, which allowed me to create my online teams. The cool thing is that it’s all about helping other people. The majority of it is sharing as much awesome Free content that you can. I was already doing that, but not at the level that I am today. The second important part is providing services that are important and helpful to others. My goal is always to find something that I have to offer that people need. When I find that need, I will put out as much free material as possible, because I don’t want to leave anyone out. I want to affect as many people in the world as possible before I die. Then if someone wants something a little more advanced, I will offer that too. It is that simple guys. Without my friends at Barbell Shrugged, I would never have figured that out. 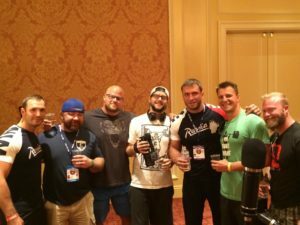 The podcast that they did on “Barbell Business” a few days ago “Abundance vs. Scarcity” is a must listen. They talk about this very concept. There are people out there right now that would tell me that I am foolish to write this very article. They would say that I am giving away my secret. That’s crazy because it’s not my secret. It’s not Barbell Shrugged’s secret either. It’s a Universal Law that they picked up somewhere else, and then taught me the same law later down the road. If you go through life afraid to help others, you are probably the guy hanging on to some great idea that will never come to fruition. They will just sit on the idea afraid to tell anyone, and then someone else will actually get it out to the world. Then that same person that was afraid to do anything will spend the rest of their life mad at the person who actually had the guts to do it. Those people are sad to me. A lot of times they have everything that it takes to succeed other than heart. Paying the $3500 for this Mastermind was the easiest purchase of my life. A lot of people look at this as too big of an investment. What is too big? If you are a true entrepreneur, you know that one great idea is worth 10x $3500. The last time that I was with them, I discovered ideas that changed my life forever. The Mastermind brings several of successful entrepreneurs together all willing to share ideas and experiences. I am confident that this event will be a game changer. The big question that you have to ask yourself is, “Am I really a person that can take a conceptual idea, and put it into play?” That is the big one! Plenty of people have amazing ideas, but zero follow through. If this is you, don’t pay the money. You’ll just come away with amazing ideas that you will never bring to life. Becoming a successful person isn’t hard at all. It just takes someone that has the heart and work ethic to an idea and put it out to the world. It sounds easy, but people let fear stifle their pathways. I hope that I can be a catalyst in your life that lights a fire in your heart. Get off the couch and take that first step today!!! Not tomorrow!!! Tomorrow will never come!!! Thanks Mike Bledsoe for doing that for me, and thanks to all the guys at Barbell Shrugged for continuing to inspire me! CTP, Doug, Chris, Mike, and AJ, you guys are inspiring the world to make a difference. If you are interested in finding out more, email me at info@mashelite.com. 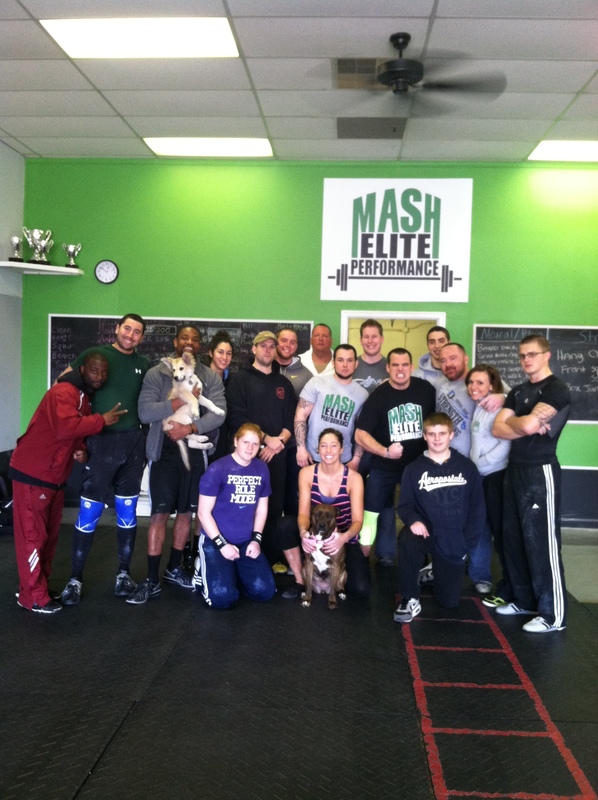 If you are interested in a hosting a Learn 2 Lift Seminar, email me at info@mashelite.com. To find out about hosting one, email me at Travis.Mash@MashElite.com. People are always telling me that I give way too much away for free. When they tell me that, I know that they are either rookies or failures in the strength and conditioning world. Most of the successful people in this industry are known to be super liberal with their information. I have found that the more I give away, the more people buy from my site. The same applies whether you are an online company or a gym/box. When I started my strength and conditioning company, Mash Elite Performance, I practiced the same principle. I was known in my area for hosting Free Seminars every month. I would pick a different topic each and every month like nutrition, vertical leap, speed, or explosive strength. This principle helped me grow from a 400 square foot facility in the back of another gym to a 4000 Square Foot facility grossing over $350,000 in less than a year. I don’t throw numbers out to brag. There are tons of gyms that gross more than mine did, but it’s hard to do that in only 4000 square feet. I did this by becoming the expert in the area. I invited coaches, parents, athletes, and even other coaches that wanted to learn. I was the go to guy for strength and conditioning knowledge in the Winston-Salem area. Here is what you have to do. First as a coach you have to pick your niche’ and own it. Is it strength and conditioning, weightlifting, powerlifting, competitive CrossFit, or general fitness? You have to figure out what you are passionate about, experienced in, and confident in. Then you have to work harder than anyone else at soaking up all the information on that topic. Next you have to master social media. If you are against this, then you are at a distinct disadvantage. That is a simply fact. I choose to focus on Instagram, Facebook, Twitter, and my Blog. You could start with growing your Facebook Page. I recommend using a Business Page. I recommend adding daily tips on your niche’. A business page is awesome because you can pay to grow it, and you can target people in your zip code and people with interests that apply to your niche’. When you pick a date for your first Free Seminar, make an Event on Facebook. Then I recommend that you invite all the people that might be interested to the event. Next you can publicize it on your Facebook Page. If you want, you can boost the post to get the Event to more people. I recommend that you publicize the Event on all forms of your Social Media. You should have a call to action on the Event like “Call to save the date with spots limited to X”. I also developed a database of coaches that I thought might work with me. I targeted running groups, soccer travel teams, baseball travel teams, and some high schools. The travel teams were great because many of them didn’t have strength coaches. The Free Seminar gave me a great excuse to call them up and request 5 minutes to stop by and explain what I was doing. Whether they came to the seminar or not, I was able to speak to them on the phone and many times in person. When you give stuff away for Free, people feel compelled to talk with you. Maybe they wouldn’t come the first time, but month after month of Free Seminar invites added up. Eventually almost all of them made one of my Free Seminars. If you want to be successful in the strength and conditioning/gym world, you have to be a lot more than just a good coach. You might be the best coach in the world, but if no one knows it, then you are just a broke coach. Get out there and let people know that you are the expert by putting on the best Free Seminars in your area. Make sure that whenever your niche’ is mentioned around your area that people think of you first. If you aren’t willing to hustle and grind in this industry, then you are in the wrong business. If you are willing to hustle a little, then you will become successful in the most rewarding industry in the world. You will be able to smile each and every day that you get out of bed. You will be able to change lives. What more could someone want? •	Mash Mafia Programming designed for the affiliates members. I am so excited to help you all become successful in the industry that I love with all my heart. For more information, email me at Travis.Mash@MashElite.com. I just got home from a long weekend in one of my favorite cities in America, San Antonio. I was teaching at another one of my Learn 2 Lift Seminars at Mission CrossFit. The people in San Antonio are some of the nicest people in the world. You can bet that I will be back next year, and not to mention the barbecue in San Antonio is to die for. 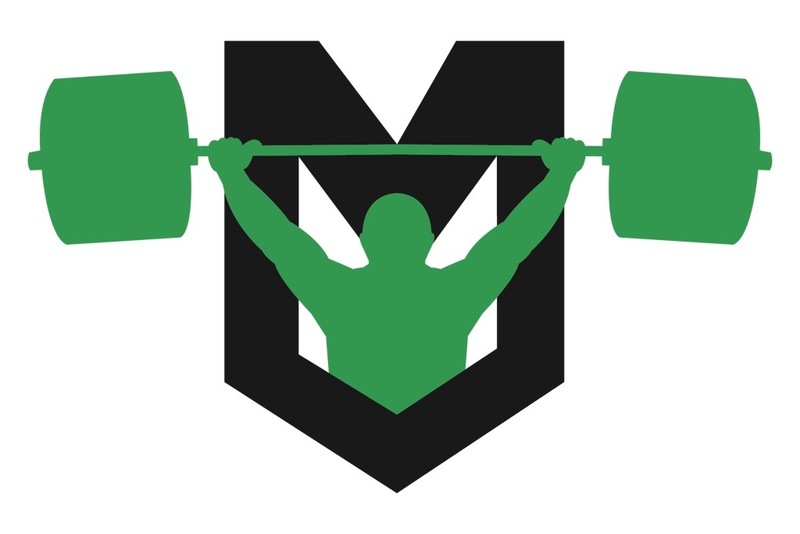 Next weekend I will be in Ontario at CrossFit Whitby. I am so excited that Emily Drew and Rock get to go with me. We are going to do a few days at Niagara Falls, and then Learn 2 Lift touches down in Canada. This weekend, I did a lot of thinking about all the ways that Barbell Life transfers to real life. One major way is the way that people find success. There are some simple Universal Tips that can help you all become successful on the platform, as a father or mother, or in business. I have applied these tips to a lot of areas of my life, and now I am passing them on to you. 1. You must be a “Master of the Mundane”! You have to be the person that does the little things, and you have to do them all the time. This is the person that wins. Ariel Stephens exemplifies this trait. She is on point with her nutrition, sleep, warm up, cool down, mental focus, recovery, and muscular balance. She doesn’t miss anything. This is why she will be hard to keep off international teams. The same works in business. 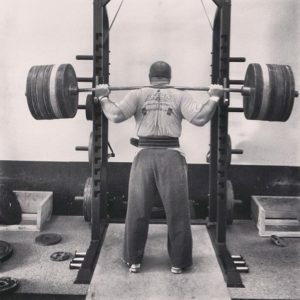 I am in constant pursuit of identifying all the little things that will make my business, Mash Mafia and The Barbell Life, the best Online Presence in the world. I am a long ways off, but I am working on changing that. Constant information, better customer service, proper hiring and training, communication, and quality control are all areas that I am working on now. There are a lot of Online Teams out there, but none that take their athletes as seriously as I do. You can ask Hillary Rizor about that one. 2. Relentless Approach- When everyone else is watching TV, the winner is stretching, recovering, or in my case blogging. This is the big one. Winners take advantage of every minute to do the things that others will not do. When other athletes go out drinking and partying, Future Olympians are taking their ice baths and going to bed. When lazy associates at the firm are watching football on TV, the future partner is studying the competition. 3. A Steady Mental Approach! This one is huge, so listen up. The athlete, businessperson, or parent that maintains a steady mental approach will always be the best. If one is strictly emotion driven, there will always be too much room for error. If any little thing goes wrong, the whole day or performance will be shot. My ability to relax and focus was no doubt the very reason that I was able to win three world championships. There was a time that this one was hard to work on or improve, but now there are several experts that can help athletes or businesspersons learn to focus. 4. Choose to do the Productive Thing instead of the Easy Thing! This is a huge divide between the successful and the not so successful. It’s easy to surf the web, play on Facebook, and scroll through Instagram, but doing the research, getting your sleep, and preparing for the next day is what wins. Ask your self frequently, “Am I doing the things that are productive, or am I wasting time?” A lot of use would be shocked if we added up the time that we wasted daily. Time is everything! It is our number one commodity. 5. Have a Plan! I am so surprised of the amount of people that go through life without a plan or goals. How do you exist? Or are you only existing? Daily we should have 1-3 main “to do’s” that are the hard things that will determine success. Make that connection to the person that you want to get to know, write that blog, or spend that extra time working technique. All three of these tips can be improved and worked on. Think carefully and if you are lacking in just one of these, spend some time changing your habits and improving your weakness. A lot of these tips are habits that people have developed over time. These habits can be altered. It will take some time, but you can do it. Simply choosing to do the productive thing over the easy thing will change your life in all areas. I hope that all of my athletes and employees strive to improve all of these traits. Helping people better their lives is something that I am totally passionate about. Look these over, and if there is something that you can improve, start right now. Don’t put it off! This life is short man, so get it done now. 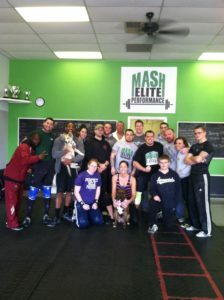 Join Team Mash Mafia Weightlifting and prepare for your future! 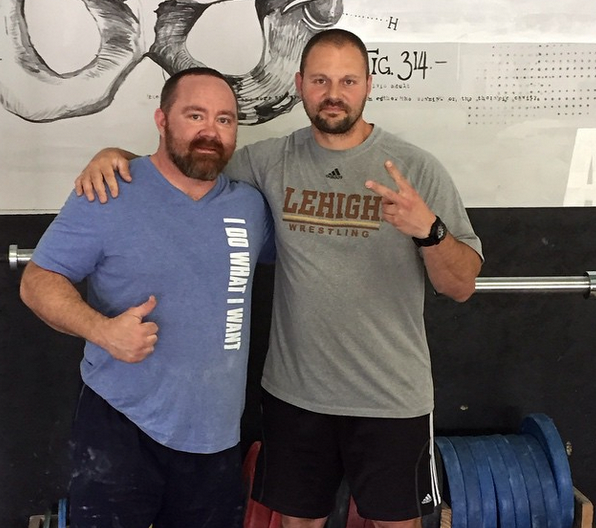 If you are a powerlifter, you can get Coaching by Travis Mash to reach your goals. Eat & Lift What You Want gets you Nutrition and Training, so pick what fits your needs.